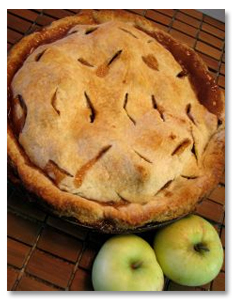 We are looking for the best homemade apple dessert in the valley! We’ll be judging the desserts on Saturday, October 19th at The Cleveland Apple Festival™ in downtown Cleveland TN between 11:15 AM and 12:30 PM at the Gazebo and the winners will be announced from the stage at 2 PM. Grand Prize will be a $50 Gift Certificate! Second Prize will be a $25 Gift Certificate! Please read the rules and complete the application if you would like to participate. Entries are accepted up to event and walk ups are welcome. Apple dessert drop off is from 11:15 to 12:30 on Saturday and we will announce winner at 2pm. Entry forms must be completed and submitted via mail postmarked on or before October, 1st to qualify for Early Bird entry or brought to the Apple Contest Table during the festival on Saturday October 19th for regular entry. If entry applications are submitted by mail and postmarked on or before October 1st, applicants will pay the EARLY BIRD entry fee rate of $8 per entry. The winners receipt will become the property of the Cleveland Apple Festival. There will be a total of 2 prizes for the best recipes. One grand prize and one second place. 1. You may enter up to three (3) dessert submissions. However only one dessert per entry fee will be accepted. A panel of community leaders will judge the event. 3. The completed application along with a non-refundable* EARLY BIRD entry fee of $8 (Eight dollars) must be mailed to Apple Dessert Recipe Contest PO Box 0761 Cleveland TN 37364-0761. You may also bring your application and the regular fee of $10 (Ten dollars) to the festival on Saturday October 19th before 12:30pm. 4. The homemade dessert must be brought to The Cleveland Apple Festival™ Apple Dessert Contest Table Saturday October 19th in downtown Cleveland, TN between the hours of 11:15 AM and 12:30 PM at the Gazebo. Judging will begin promptly at 1pm and the winner announced at 2 PM. 5. Each participant must submit one freshly made Apple based dessert for each paid entry form (limit of 3 per household) in an 8 to 12 inch (approximately) NON returnable dessert pan or plate. All desserts become property of The Cleveland Apple Festival™ . 6. Each entry will be recorded and a number assigned to the contestant. The number will be placed on the bottom of the pan. No other identifying marks may be made on the dessert or the pan. Only The Cleveland Apple Festival™ Dessert Committee will know the identity of the dessert maker. 7. All desserts must contain apples as their primary ingredient. 9. Winners will be announced from the performance stage at 2pm Saturday, October 19th during the festival. Winners must be present at this time to accept prizes. 10. The Cleveland Apple Festival™ reserves the right to limit the number of entries should the amount of entries become larger than can feasible be judged by the judging panel in the allotted time. 11. *The Cleveland Apple Festival™ reserves the right to terminate this contest for any reason deemed appropriate by The Cleveland Apple Festival™ Committee and shall refund any entry fees received. 12. The Cleveland Apple Festival™ reserves the right to award alternate prizes of equal or greater value if, in the unlikely event, the prizes listed above as awards are unavailable or otherwise unobtainable by The Cleveland Apple Festival™ prize committee.